Securing a podium result for the second week in succession, Gautier Paulin claimed third overall at a challenging MXGP of Sweden. 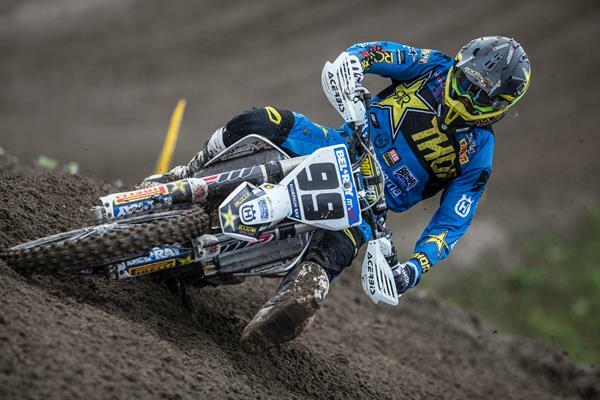 Collecting 40 valuable points the Rockstar Energy Husqvarna Factory Racing rider is now just four points behind the provisional runner-up spot in the 2017 MXGP Motocross World Championship standings. Remaining fast and consistent despite changing conditions at the historic Uddevalla track, Gautier wrapped up the GP with two third place results. The FC 450 mounted rider collected equal points with runner-up Romain Febvre but had to settle for third overall due to Febvre’s better result in moto two.Max Anstie was faced with a mountain to climb in each of the two motos following disappointing starts. Collecting 13-8 results he earned 11th overall at the GP of Sweden.